While Azodin is one of the newest companies in the paintball market, they have some of the greatest products. 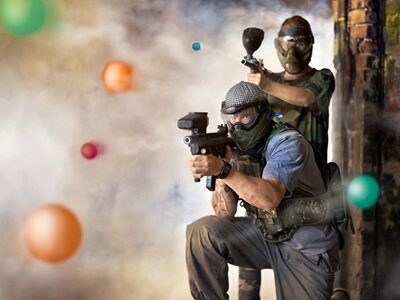 Their paintball guns are created with a beginner player in mind and their continued commitment to quality has seen them done much better than other brands. As a beginner, you can’t go wrong with some of these guns from Azodin. Even if you are not a fan of military style markers, they still have several options for you. More so, their guns come in a variety of colors and finish, hence you can always choose the best one. If you are looking for one of their guns, here are the top 5 markers from Azodin. Pricing table with an Table ID of "1azodin" is not defined. Azodin Kaos is built with the latest technology and equipped with some of the features that can only found in high-quality paintball guns. Although it targets entry level players, it’s a semi automatic paintball marker that can be used by different types of players. This unit is very reasonably priced and every experienced player knows that it’s one of the best guns at this price. It comes with an aluminum grip, gas through fore grip, and single piece barrel. Its design is a blow back mechanical stacked tube that helps to decrease its weight. Since it weighs less than a third of most markers, its internal parts are not burdensome. Having a consistent pull and quick action double trigger, it has the best performance. 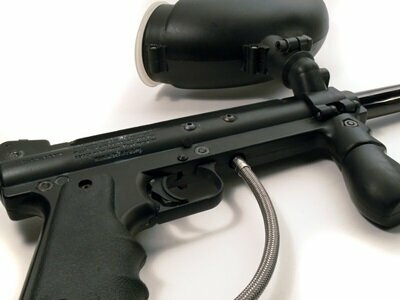 Overall, it’s a solid mechanical paintball gun that anyone can hold with ease and play with. 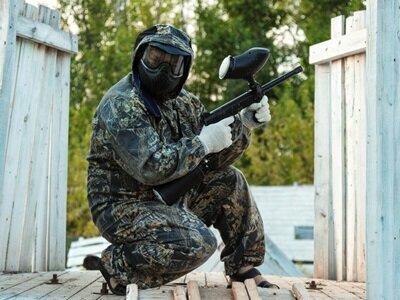 Every paintball player reaches a point when they have to go out and look for their first gun. This Azodin Blitz 3 was designed for players who want an affordable marker. As compared to the previous versions, this make is built with composite material which is 15% lighter. It’s, therefore, very comfortable to use in long games. To make it more beginner friendly, its feather regulator is preset. If you are looking for an electronic paintball marker that is also affordable, then this is the best one to buy. More so, it comes with a zero recoil operating system that allows for more accuracy and lower pressure. This new paintball gun has been created in such a way that it can be able to shoot and work better than most in this price range. Since the board is the soul and the valve is the heart of every paintball gun marker, it’s been fitted with new heart and soul with its high-performance valve that provides a new level of accuracy overall efficiency. This marker is not only accurate but also smooth shooting. More so, it’s programmed with different firing modes and it can easily be modified to suit your likings. Its electronic trigger has 4 modes thereby making it really awesome. If you are just starting out, it’s advisable that you start with this gun because you will not outgrow it very fast. Coming as a refinement of its predecessor, the Azodin Kaos-D takes the paintball markers to a completely new level. 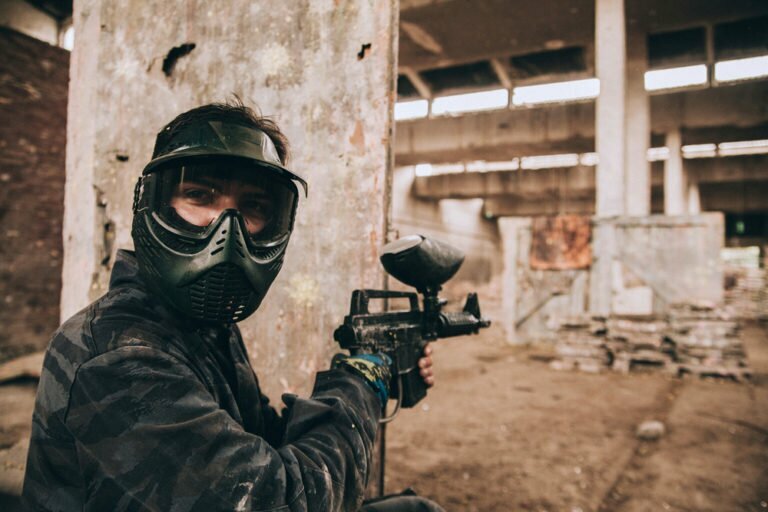 Using the revamped Zero-D low-pressure system and having an already Stacked tube blow back, this paintball gun is now even much more efficient than others paintball guns on the market today. To boost its reliability and for easier maintenance, its tool less ZeRO-D system is directly threaded. It also has an improved trigger giving you a softer and lighter pull. Although it’s still relatively new, it’s quickly improving its reputation among budget-friendly markers in the market. For a low priced gun, it is surprisingly accurate, very easy to maintain, and reliable. 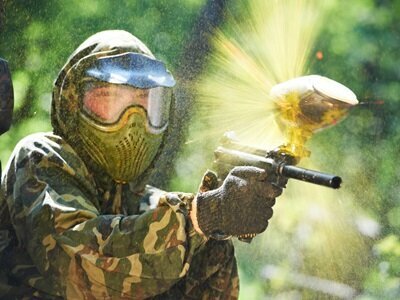 Azodin Kaos Pump III is a paintball marker that promises change the way you play paintball. Being a quality product, it not only promises but also delivers excellence by using some of the best features. As compared to its predecessors, its light in weight to facilitate easy storage and portability. It’s a single trigger frame designed with an aluminum body and frame. To achieve a firm attachment it has an aluminum clamped feed neck. To make it appealing, it’s available in a variety of colors. Whether you are a new player or more experienced, you will find this marker quite amazing. As you know, it can be quite challenging to pick the ideal Adozin marker and you simply cannot just pick up any marker from the shelf. The reason is that in order to maximize the gaming experience, you need to pick a unit that suits your needs. What may fit your friend may not fit your own needs. That said, with all the high-quality Azodin markers available on the market, you best solution is to do your homework and understand what kind of paintball game you will be playing. By doing that, you will end up with a top-rated paintball gun that fits your demand and playing style. If you are looking for your first paintball gun and you are on a budget, then these Azodin markers are capable of providing all that you need. However, it does not matter what kind of player you are, Azodin has a variety of choices for both beginners and pros. The good thing is that they are affordable and come in a range of colors. 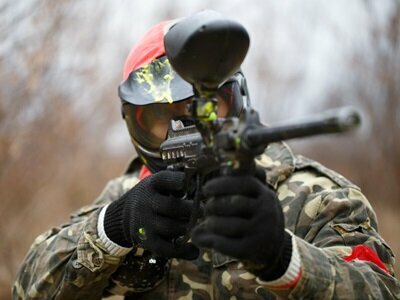 With more time and experience, you will be able to learn that Azodin paintball guns are good for you. Remember, purchasing such guns is an investment which, when done well, you will not regret. 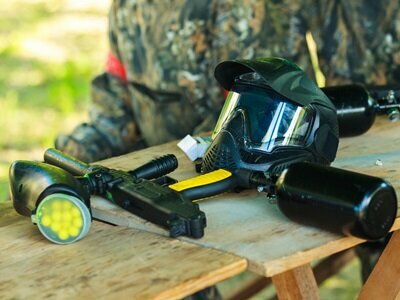 As a beginner or pro, let these top 5 best Azodin paintball gun be the starting point.